Our Mission: We help good people with bad legal problems. The consequences that result from a legal dilemma can have devastating effects on your life and your future. But even if your situation initially appears to have no chance of success, don’t lose hope. As a lawyer with years of experience, attorney Elvin L. Gentry has accumulated an invaluable set of aggressive trial and negotiation skills necessary to fight for your rights. Serving as your personal advocate. When you place your trust in Elvin Gentry, you can expect him to provide you individualized and customized representation. You benefit from his collaborative approach towards problem solving. He affiliates with only top-notch attorneys, investigators and experts to ensure your case is defended from every angle. Experience counts. 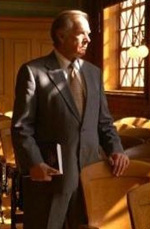 Elvin Gentry has a acquired a strong reputation among judges, attorneys and peers for his ethics, tenacity, diligence and creative strategies. He has earned an AV® Preeminent™ Peer Review Rating by Martindale-Hubbell®, the highest recognition possible in the legal industry, for his professionalism and ethics. Elvin Gentry is also a recipient of The National Trial Lawyers’ Top 100 Trial Lawyers for 2014. The National Trial Lawyers Top 100 is an invitation-only organization composed of the premier trial lawyers from each state in the nation who meet stringent qualifications as civil plaintiff and/or criminal defense trial lawyers. Selection is based on a thorough multi-phase process which includes peer nominations combined with third-party research. Membership is extended solely to the select few of the most qualified attorneys from each state who demonstrate superior qualifications of leadership, reputation, influence, stature and public profile. A nationally recognized and respected Colorado Springs lawyer. Clients represented include: judges, doctors, nurses, lawyers, psychologists, accountants, engineers, teachers, detectives, police officers, soldiers, social workers, former jurors, court clerks, corrections officers, and others from many walks of life. Elvin L. Gentry, P.C. serves clients throughout the State of Colorado.